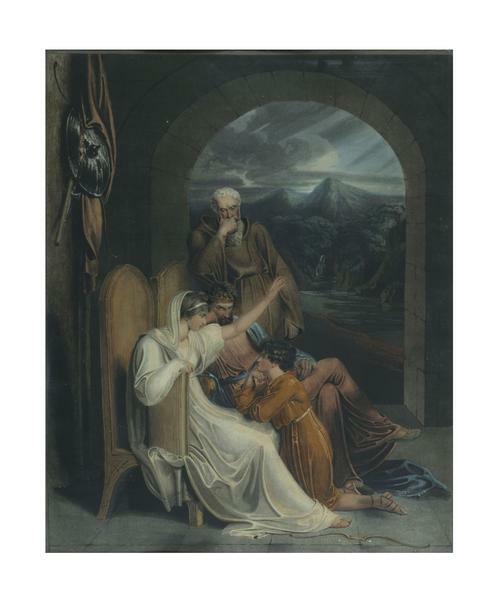 Print depicting Queen Judith telling stories to the young Alfred the Great. 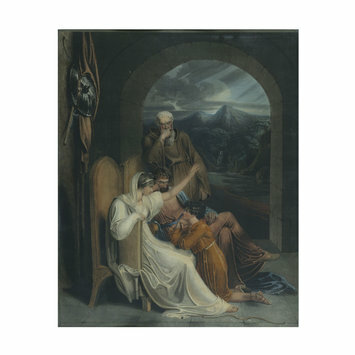 A watercolour of this subject in the same sense dated 1799 which was exhibited at the Royal Academy in 1800, no 423, is now in the British Museum [O.o.3-12]. 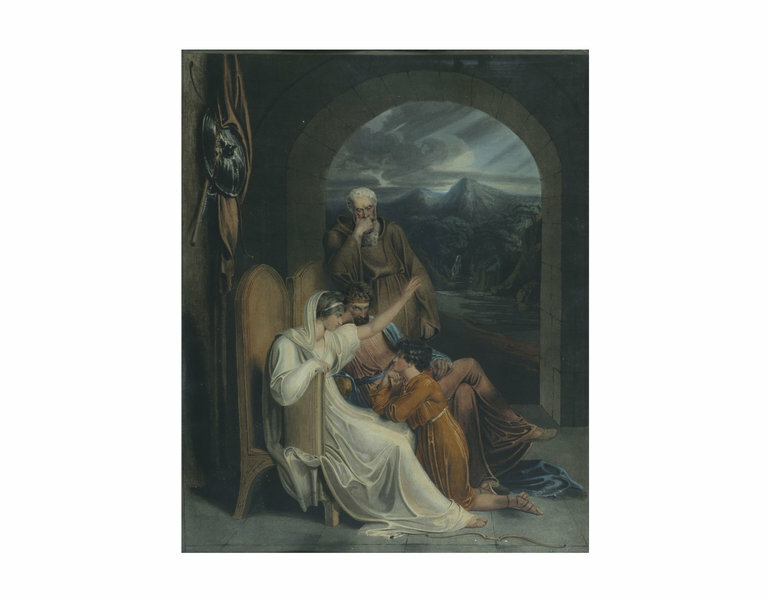 In 1801 the artist exhibited at the Royal Academy, no 569, another work with the same title described as an example of "a print in imitation of a drawing". For a note on the decoration of the frame see WESTALL, Richard Cardinal Bourchier. E.225-1990.